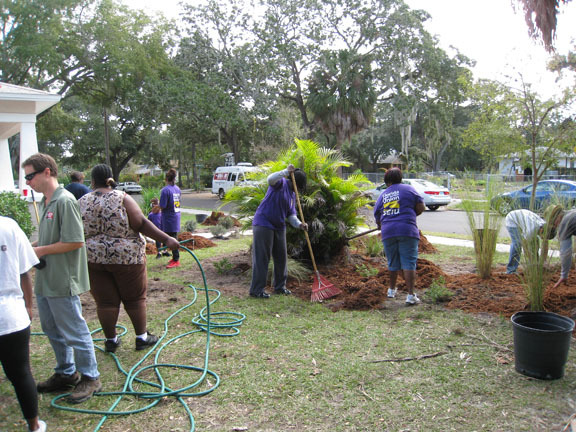 Paris Gardens in our community. 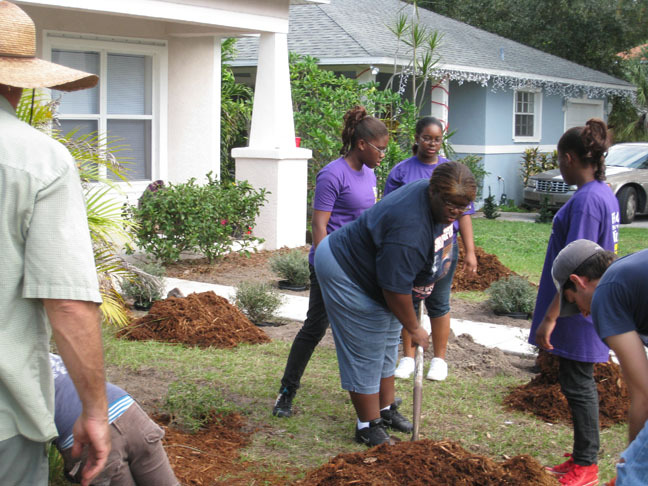 Green Florida and Twigs & Leaves celebrate another successful Paris Garden installation. 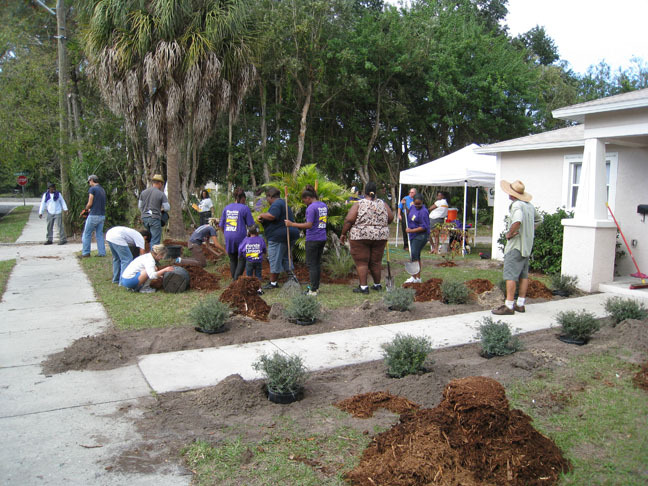 Paris Gardens are meant to protest the violence in the area and keep the memory of Paris Whitehead-Hamilton alive, by beautifying the community with Florida Native and edible plants. 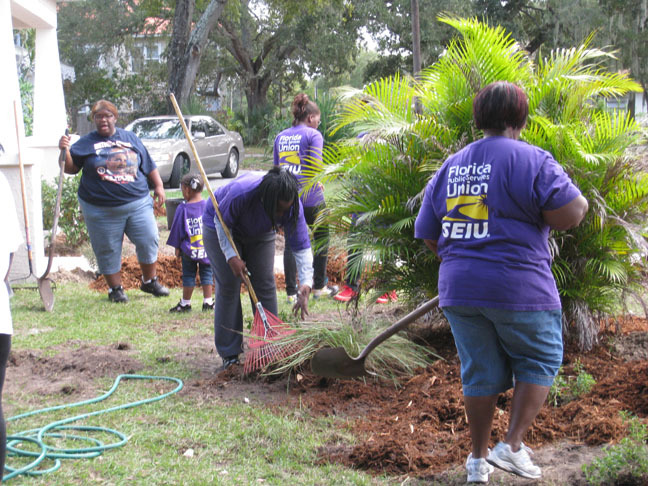 With help from the Florida Public Services Union the yard was finished in one morning. Thanks again to Atwater's Cafe for their generous contribution of food for all of the volunteers.